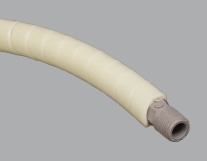 PVC can be divided into two categories: rigid and flexible. 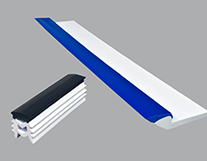 The amount of plasticizer controls the hardness (durometer) of the PVC and by adding more, the PVC becomes softer and more flexible.The durometer is measured on the A-scale, and flexible PVC has a hardness between 50A-90A. 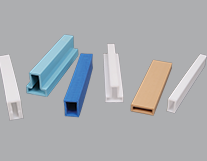 Rigid PVC (RPVC) is extensively used in the construction industry because it is rigid, dimensionally stable, and has good resistance to weathering and corrosion. 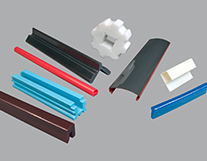 RPVC is typically used in window profiles, home siding, and piping. 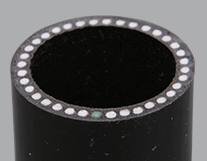 It’s also used where flame and electrical resistance is needed. 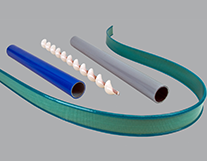 Flexible PVC (FPVC) is commonly used in medical tubing, general tubing, and seals. It has great sound and vibration-dampening properties in addition to chemical resistance properties. FPVC is less expensive versus similar TPU parts. 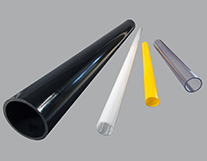 Both RPVC and FPVC are clear but can be colored to for your needs.